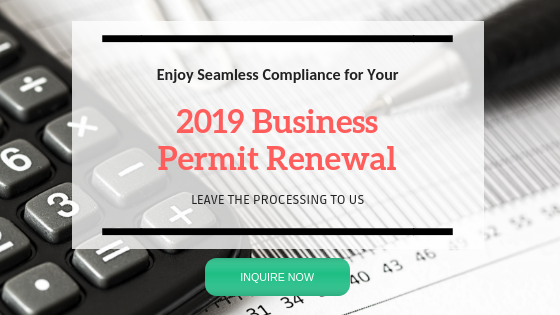 Since writing this article a year ago, we revisited the experience of renewing business permits to guide you through the process in preparation for the upcoming year. You can read all about it here. If you need help processing your business permit renewal, we can do this seamlessly for you. Register here to secure the discounted quote. Most of us are guilty of doing things the last minute, as we tend to procrastinate, especially if the deadline is still months away. This includes the renewal of business permits. 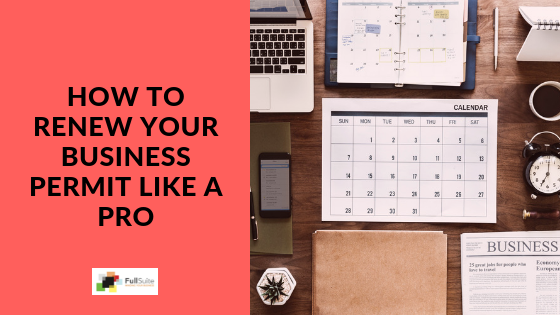 The problem with putting things off and doing them at the final hour is that there will always be something that’s bound to go wrong—and that shouldn’t be the case when it comes to your business. It is important that you comply with deadlines to avoid the hassle. To have a better understanding, read on to find out everything you need to know about permits and licenses for business in the Philippines. At the onset of the venture, businesses must secure a permit from the barangay and the city hall to which they would operate. Business permits are only valid for a year and must be renewed within the first 20 days of the following year. Here is a walk-through that will help you acquire the required barangay and mayor’s permits for your business on or before January 20, as failure to process and pay these taxes on time will result into surcharges and penalties. A renewed Barangay Permit, also known as Barangay Clearance, is necessary for acquiring a new mayor’s permit from the city hall. Typically, if you apply for the renewal in the morning, you can get your new Barangay Permit the same day. 1. Go to the barangay hall and get the corresponding renewal application form. Fill out the form and submit it together with the requirements at the Barangay Permit Division. 2. Wait for your form and requirements to be assessed. 3. If there are no corrections or missing requirements, you’ll be instructed to pay the corresponding fees. 4. Take note of the stamped release date on the official receipt to know when you can claim your new Barangay Permit. As soon as you have your new Barangay Permit, you’re now ready to process the renewal of your Mayor’s/Business Permit. • Income Statement for the previous year—audited or unaudited. • Community Tax Certificate (CTC), also known as Cedula acquired from the City Hall. 1. Get the required application form at Business Permits and Licensing Office at the municipal hall to which your business operates. Accomplish said form and submit it together with the requirements for evaluation. 2. Wait for your accomplished form and submitted requirements to be assessed. If there are no corrections or missing documents, the assessor will tell you to proceed to the payment section. 3. Pay for the fees specified by the assessor at the City Treasurer’s Office. 4. As soon as payment is processed, you’ll be given a receiving copy of payment from the City Treasurer’s Office. The receiving copy must be presented when you claim your Mayor’s Permit. 5. Claim your new Mayor’s Permit, as indicated on the date stamped on the official receipt. Processing Time: 1 to 2 weeks depending on the volume of renewal transactions. *Requirements of local government units (LGU) vary based on location. Refer to your LGU for specific or additional requirements. Now that you have taken care of renewing the necessary Barangay Clearance and Mayor’s Permit for your business, you can proceed with the renewal of your certificate of registration. It is very important to renew your annual business registration at the Bureau of Internal Revenue (BIR) not later than January 31 to avoid penalties. Fines range from PHP 5,000 to PHP 20,000. Take note of the following requirements and processes needed in renewing your business registration. 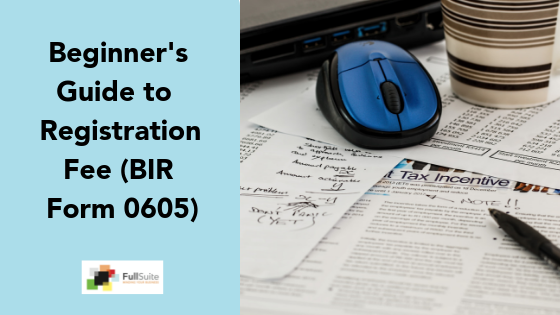 • Duly accomplished BIR Payment Form 0605. You may download this form from the BIR website. 1. Go to your Revenue District Office (RDO) and have the officer-of-the-day assess your requirement. You may check your designated RDO from the BIR website. • Other separate or distinct establishments which conduct sales transactions independent of the head office. Renewing permits and licenses for business in the Philippines is indeed a very meticulous and tedious process. You have to ensure that you comply with each of the requirements and perform the specified steps. Thankfully, business owners can rely on professionals who would take the load of going through all the procedures. Need help in renewing your business permit this coming January? 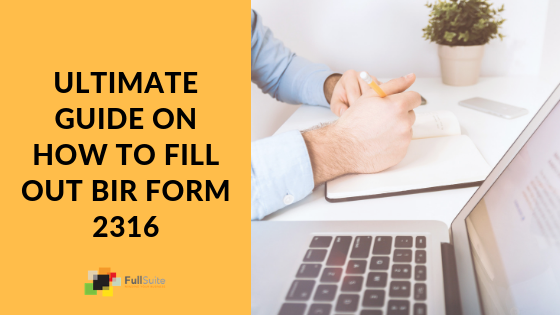 Fill up the form for Full Suite’s Permit Renewal Services below.